Dr. Paul H. Mitrovich recently retired after 30 years service on the Lake County, Ohio Common Pleas Court. 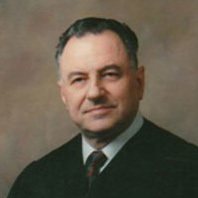 Judge Mitrovich previously served as the Lake County, Ohio Prosecuting Attorney and prosecutor for several cities. By appointment of the Ohio Supreme Court, Judge Mitrovich currently sits on cases throughout the State of Ohio. He teaches criminology and criminal procedure at the Lakeland Community College.